“Wow!” is the usual reaction when visitors see our arena for the first time! 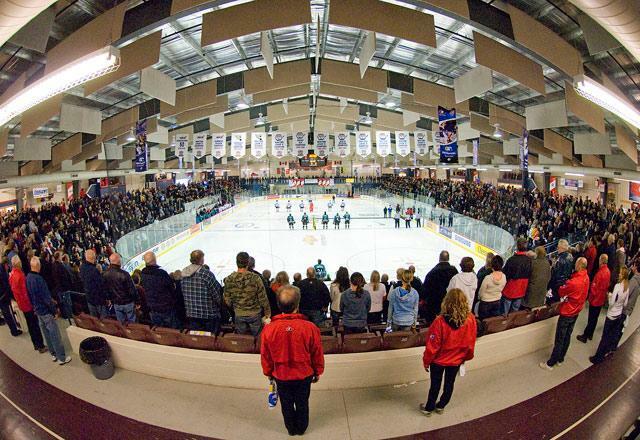 The CUP is home of the Manitoba Junior Hockey League’s Dauphin Kings Junior A Hockey Club and has been “rocked” by such superstars as Burton Cummings, Hedley, Johnny Reid and many more. This new facility encompasses a 2,000 seat entertainment venue with a designated wheelchair viewing area and state-of-the-art sound and acoustical system, creating a second-to-none event venue. It also includes the 211-meter Dauphin Clinic Pharmacy rubberized 2-lane walking/running track, upper and lower concessions, Strilkiwski Viewing Lounge and meeting room, liquor sales areas, two ticket offices and eight large dressing rooms.